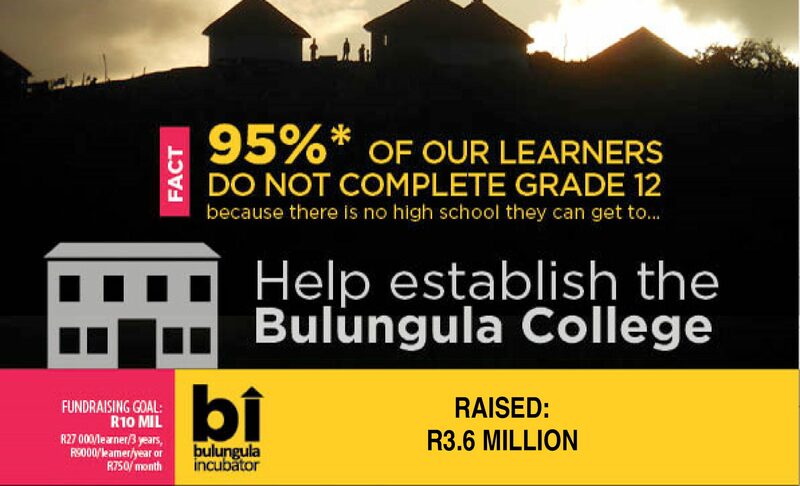 In order to support our community from CONCEPTION to CAREER we are committed to taking the next step to making high quality education available by opening the Bulungula College in 2019 for Grades 10, 11 and 12. The College will be a centre of academic excellence for 240 learners over the next five years. DONATE NOW to stand together with the next generation. Using data from the surrounding schools in 2015, we found that approximately 95% of our learners in the area do not ever complete Grade 12. Only a handful of people have ever succeeded in achieving their final school year certificate. Almost all adults in the village are illiterate. For their livelihoods, the people of Nqileni are reliant on subsistence farming, government grants, wage remittances from migrant workers and, since 2004, income from the community-owned Bulungula Lodge and later from Bulungula Incubator. The health of the population is compromised not only by the inaccessibility of health care provision, but also by insufficient health knowledge, poor nutrition, poor water quality, HIV and cystercicosis. The area thus epitomises the most acute poverty challenges of the country. Despite this, it has an immense richness in other ways: there is a strong sense of community and history, the land is incredibly fertile and breathtakingly beautiful, there are still pockets of excellence in subsistence farming, and the people have a strong desire to work towards improving their situation. It is this combination of difficulties and strengths that make the Xhora Mouth Administrative Area an ideal place to develop innovative responses to rural challenges. online learning and afterschool support programmes for primary schools. The Bulungula College will fill the gap in education foundations and pave the way for sustainable, flourishing communities. We believe that educated and well-cared for children will carry families out of poverty and contribute to a thriving South Africa in the future. Click here for a detailed budget breakdown.